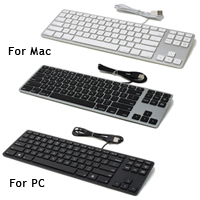 This is a general category that includes keyboards similar in manufacture to those on Apple Macintosh computers. Generally speaking, they use the "chiclet" style keys. 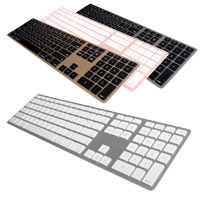 Click here for the Wired Aluminum Keyboard. Click here for the Wireless Aluminum Keyboard. 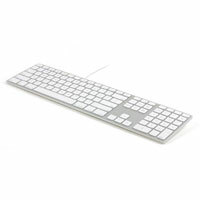 Click here for the Wireless Aluminum Keyboard with Backlight. 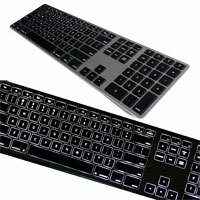 Click here for the Wired Aluminum Tenkeyless Keyboard.